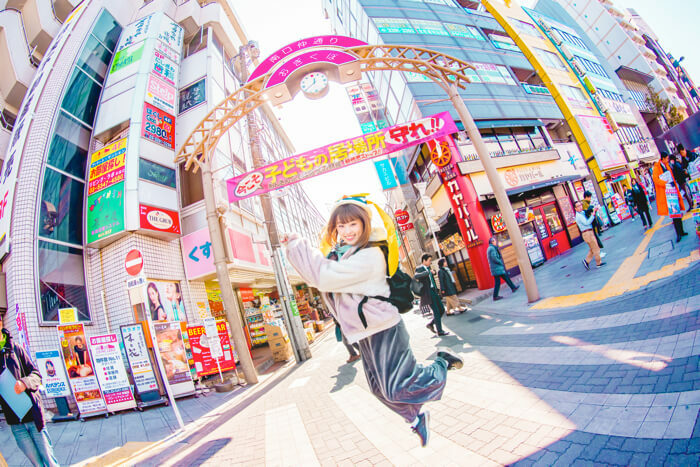 Anna loves anime, and so she is bringing a new series to our “Tokyo Stroll” feature where she takes us on a pilgrimage to visit real life anime locations! 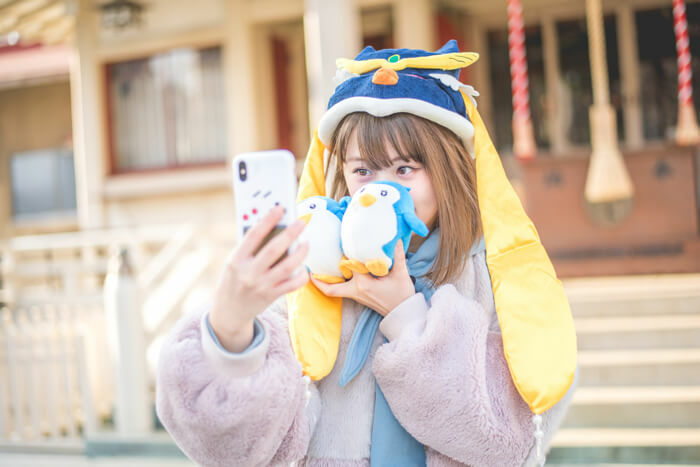 The theme chosen by Anna for this first entry is a solo trip to Okigubo which appears in the anime series Penguindrum (which she is a huge fan of!) Just what kind of encounters will be waiting for her there? Anna puts on the same hat as the anime’s protagonist Himari Takakura (from her own collection) and meets at the station. You can tell she is in high-spirits from behind. 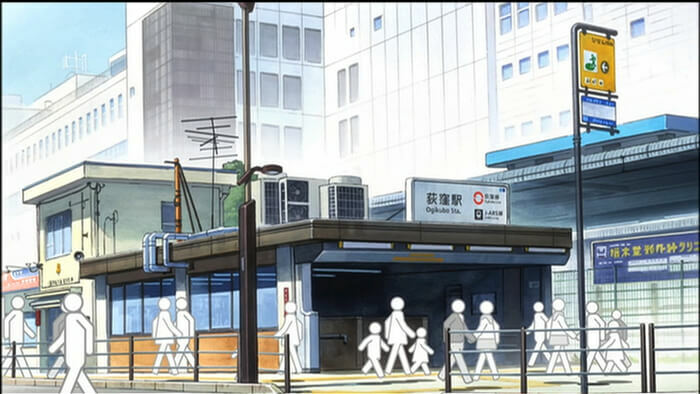 The train station too is exactly the same as in the anime! 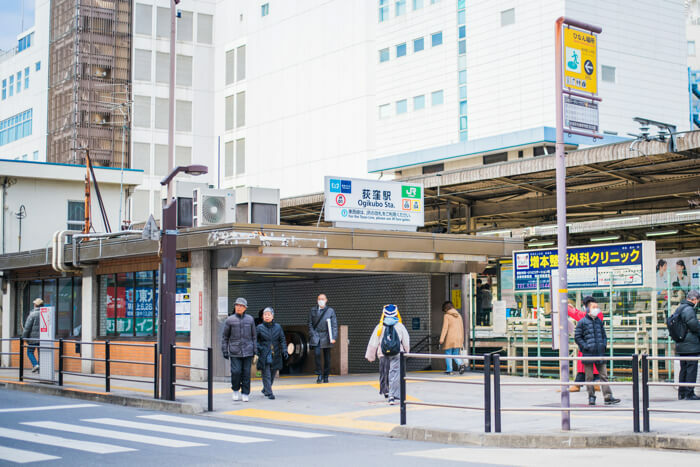 The first location on the list was Ogikubo Second Children’s Park. Anna did get a little lost on the way there, but she managed to find the giraffe and pig park installations. In the anime, the Takakura brothers live in the house right next to this park. 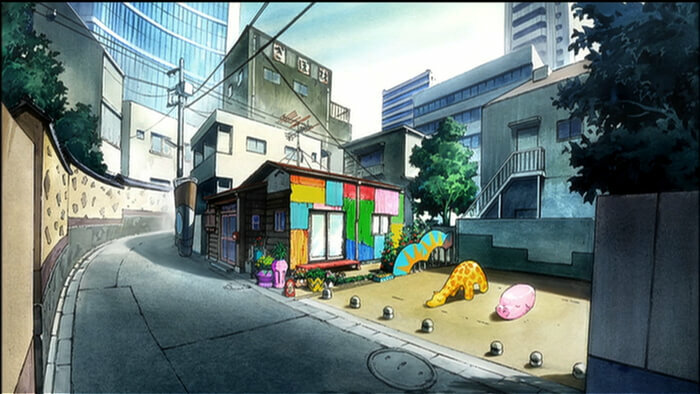 Anna said solemnly “I think the colourful house is a symbol of happiness for the brothers” while confirming that this was the location the house should be if it was the anime. Upon basking in the afterglow, one of the staff members that was with Anna cried out as if to cling onto something! Anna was taken aback by this remark. And with that, off they went. But just what is the Penguin Drum…? 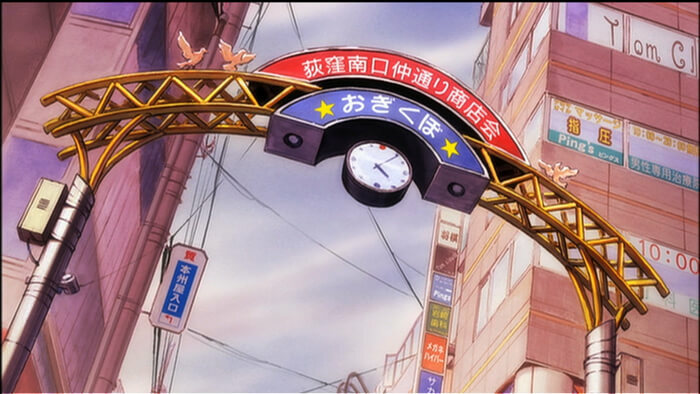 Here’s the shopping street archway that you see in the anime! It’s pretty exciting. Ogikubo is a kidn and friendly place. 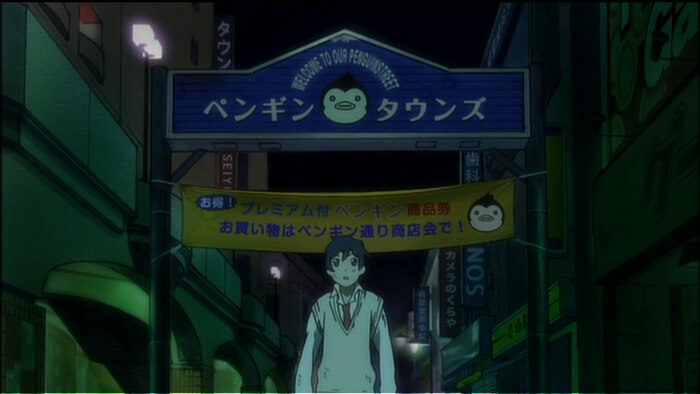 While strolling the streets, Anna was asking people “Where’s the Penguin Drum? !” to passers-by. Along the way, there was a shop that caught her eye! It was a kebab shop that had a deliciously inviting smell. The man’s Japanese was very good. Anna went in for the kill, asking, “Please show me your artefact that’s associated with your fate!” He kindly showed her his charm from Turkey that’s preciously decorated in the shop. Does fate relate to the Penguin Drum?! Maybe the Penguin Drum something that each person possesses… Our trip isn’t over yet! 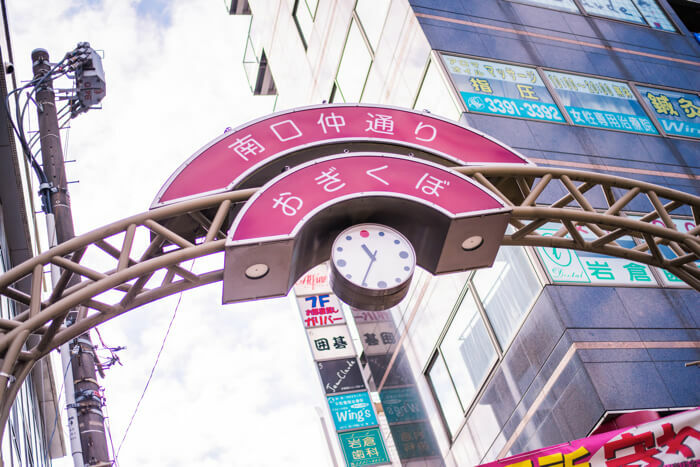 The next location can be found on the roof of Town Seven, a shopping center at the north entrance of Ogikubo Station. It’s a wide and open space where a lot of children were playing. 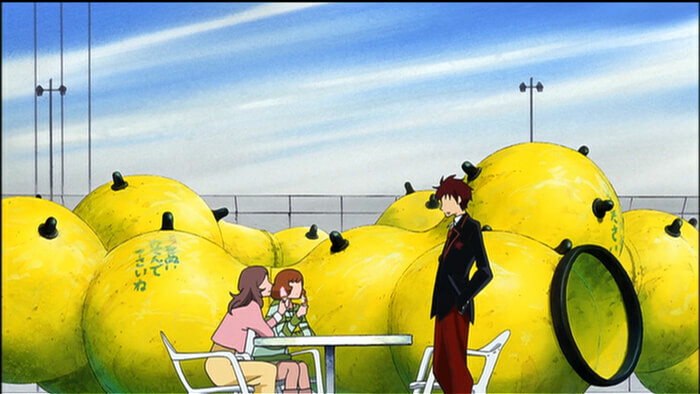 This is the scene when the older of the Takakura siblings, Kanba, is talking to his ex-girlfriend, when a memory-erasing red ball comes flying and hits her on the forehead. The playground equipment that appears in the background was very impressive to look at. The children became interested in Anna’s hat. She was completely surrounded! The next place Anna headed to was the shrine where the heated fight between the brothers unfolds. 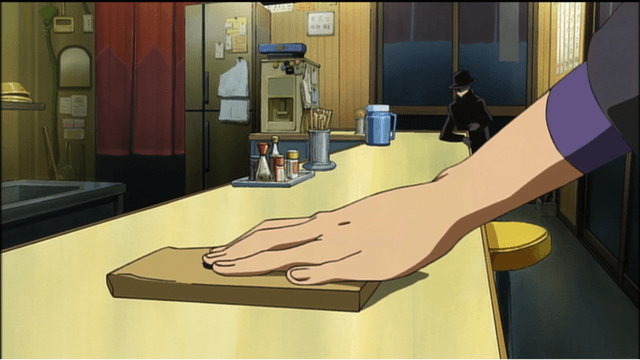 The younger brother, Shoma, becomes aware of the events surrounding his older brother, so presses him with questions. Kanba declares that he was playing parent. Anna prayed by herself in the grounds. And don’t forget to take a commemorative photo. 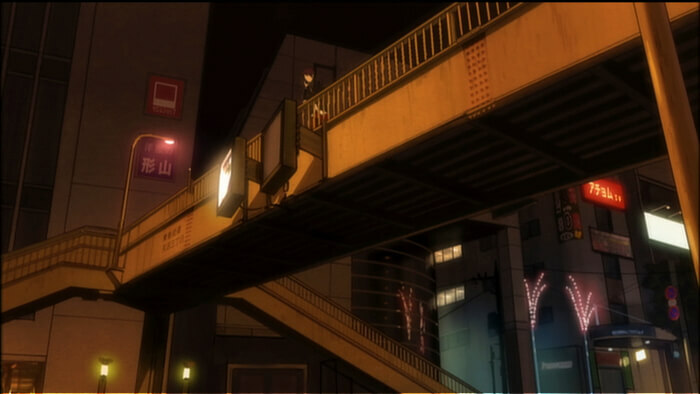 Next is the scene with the pedestrian bridge where Kanba blows up a car. We took the photo at the same angle as in the anime. Anna told a story with a serious expression. 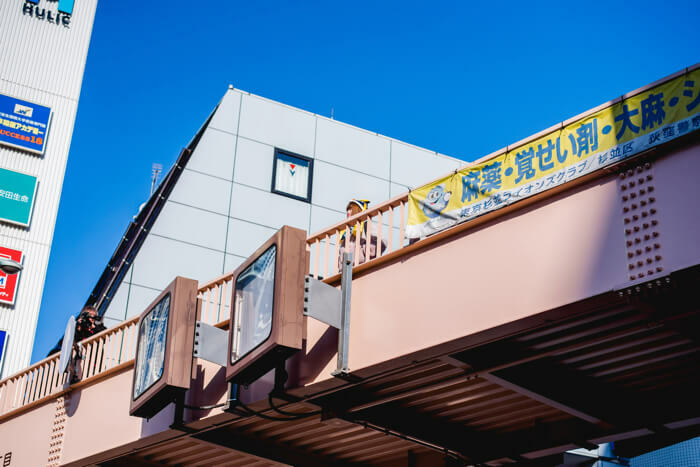 Anna also passed under the arch to Hakusan Towns shopping district. 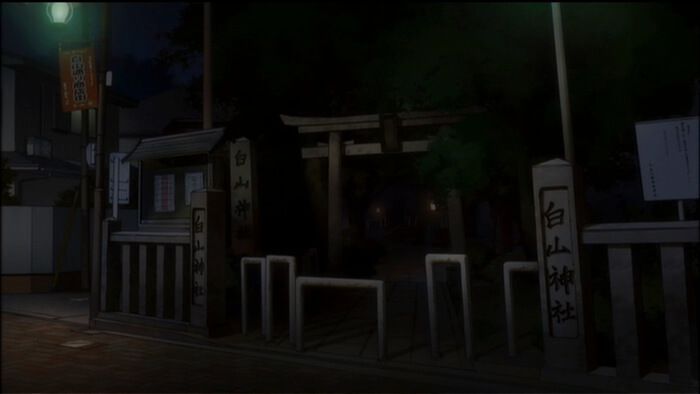 It seems like it has changed a little since the anime aired, but you can tell it’s the place immediately! Anna tottered over and shouted, “Survival strategy!” again to a lady passing through. She then made her way to a ramen shop as the lady had also mentioned which is famous among fans. “Sanchan Ramen” is a restaurant with a 60-year history that has continued to be loved by locals in Ogikubo. 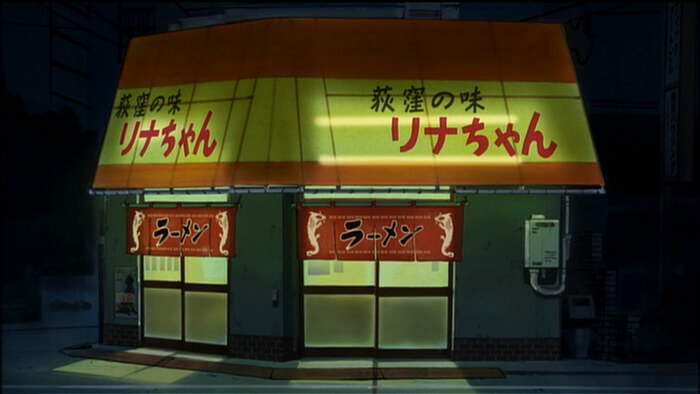 This is the place used as a location for handing over money between Kanba and the evil organisation. There’s a lot of fans that imitate the anime and slide envelopes with money inside on the tabe. Of course, Anna had a bowl of ramen too. By the way, why do you like this anime, Anna? 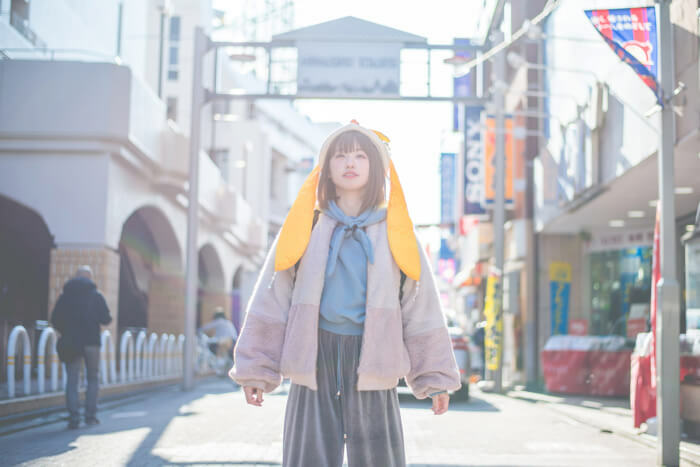 Today’s article will be broadcast on “Kawaii JAPAN-da! !” on MBS (Kansai Local). It will go on air on March 13th! Don’t miss out on Anna’s solo travel! Blu-ray BOX edition of “Penguindrum” now on sale in Japan!